Right through to the heart. The emotion of the first day, the promise of an entire lifetime. 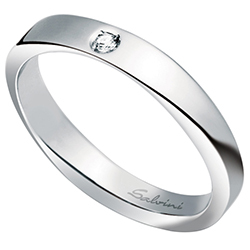 Salvini reinterprets the wedding ring and transforms it into an object that exudes romance. The most special day of your life has arrived, the start of “forever”. Here are a few little tips for making this day truly unforgettable. Relax. Today is your day, enjoy it. Something will go awry, it always does, but don’t worry. You love each other and today you will say “Yes!” You don’t need anything else to make you happy. Ask for help. Choose a few close friends or your mum and ask them to help you with the organisation, making phone calls and managing the invitations. You are the bride not a wedding planner. Take it easy. Take all the time you need: for the preparations, for your make-up, for breakfast and even for the walk up the aisle. Don’t rush. And as we all know, slow and steady wins the race. Be patient. Don’t forget that your bride-to-be may also be feeling the stress. She might fly off the handle more easily or be feeling more vulnerable. Dedicate some time just to her, reassure her and remind her that you love her and that everything is going to be fine. Arrive early. Prepare your suit, shoes and accessories the night before, take your time getting dressed and arrive before the other guests, perhaps with your witnesses or other close friends. This will help calm your nerves. Relax. Not everything has to be perfect. Maybe you’ll tread on her feet during the first dance or perhaps you’ve put on the wrong bowtie…it doesn’t matter. You are about to marry your best friend, the woman of your life. She’ll love you deeply all the same. Evocative, emotional, romantic, church ceremonies conserve all the charm of tradition. Wearing a white dress, walking down the aisle on your dad’s arm trembling with excitement, looking into the misty and emotional eyes of your groom…Wonderful moments that will stay with your forever. It is a ceremony that can say so much about your love: from the flower arrangements to the choice of readings and music, choose details that say something about you. More informal but no less emotional, a registry office wedding allows the bride and groom to be a bit more creative with the organisation. The most important detail: the location. The actual ceremony normally takes place in often quite small rooms in the town hall but in recent years lots of Italian municipalities have consented to the use of stunning public places like castles, historic buildings and prestigious villas, as well as wonderful gardens and parks for an evocative al fresco wedding. 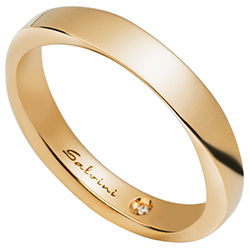 The wedding ring is symbolic of the eternity of love, of its inviolability and tenacity. For this reason the chosen ring must also be precious, just like the sentiment it symbolises. According to tradition it is the husband or the husband’s family that buys the wedding rings but nowadays it is often the witnesses that give this gift. Usually the wedding rings are chosen together with those who give them. There are no rules when choosing the rings: a simple yellow gold band is the most traditional while rose gold is elegant and retro. A gold wedding ring represents originality; with diamonds it exudes taste, class and romanticism. Jewellery gifts have an intrinsic value that no other object can match. An item of jewellery is like an amulet that we never part with, that remains close to our hearts at all times of day. A gift that will definitely never end up in a drawer; precious to those that receive it, precious for those who want to be remembered by it. For this reason parents, witnesses and close friends often choose things that are not on the wedding gift list, something more personal, significant, eternal. One really chic present is a jewellery set: earrings and necklace or earrings and bracelet. 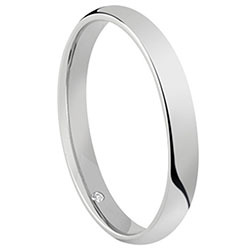 Remember that to match with her white wedding dress the bride will probably want to wear jewellery of the same colour so white gold paired with diamonds or pearls would be an excellent choice. A new trend is also emerging: jewellery with sapphires. In recent years the English tradition of wearing something old, something new, something borrowed and something blue has also gained traction in Italy. The most appropriate present for the wedding ceremony is an understated and elegant pair of cufflinks with diamonds. Or you can push the boat and choose the groom some cufflinks with coloured stones like lapis lazuli or onyx to add a touch of style to the classic wedding suit. 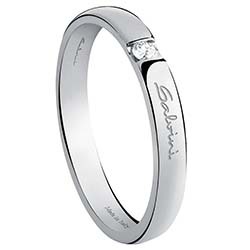 A precious gift is the perfect way of making an unforgettable moment even more magnificent. A piece of jewellery will always remind them of your love and esteem for them and make them feel even more involved in the best day of your life. It could be a jewel for the women and cufflinks or a bracelet for the men, and it would be nice if they could wear them on the wedding day to further enhance their significance. 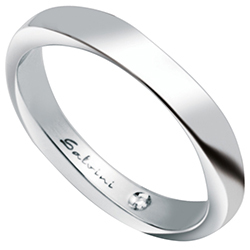 Another extra touch would be to personalise your gift, maybe with an engraving: a phrase, the date of your wedding or simply just your names.